This story is set in Liechtenstein, a few hundred years ago. It is the story of a little girl, and a weakling cow who gave very little milk, and the miracle that happened one day. 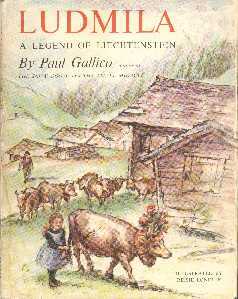 The story is told as if it were a legend of the mountains; but it is entirely from the mind of Paul Gallico, by his own admission (in the introduction to the story in Three stories). It is quite moving, none the less. The story was first published in the Christmas 1953 edition of the Sketch in London. Listen for Pleasure produced an audio book of this in 1979, along with The Snow Goose and The Small Miracle. It was read by Sir John Mills, and can still be found occasionally on eBay. This book is out of print in the UK, but was until quite recently available as a Penguin paperback, with The Lonely. It shouldn't be that hard to track down. Reprint copies of the hardback are quite easy to find as well. 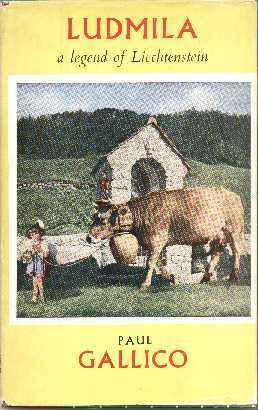 The first edition was actually published in Liechtenstein in 1954, with illustrations by Franz Deak. Copies from there do turn up from time to time. The first UK edition was published in 1955, with the Deak illustrations. The first US edition was not published till 1959, illustrated by Reisie Lonette; an edition with the same illustrations was then published in the UK in 1961.